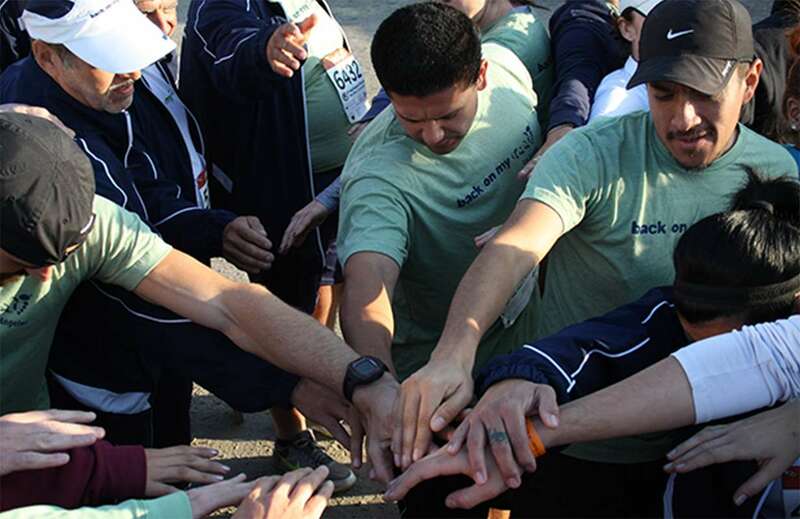 We use running, community and essential resources to empower our members and help them change their lives. Here's a snapshot of the impact we are having across the country. "Measuring our impact is critical. We look at it from every angle; economic, health and social. We are proud of our national impact and all of our member achievements." On average, our members are hired at $12.75/hr verses the national minimum wage of $7.25/hr. $1 invested in us returns nearly $2.50. For every $1 invested in Back on My Feet, nearly $2.50 is returned to the community through increased economic activity and cost savings – and that return is seen in only three years. The economic impact includes: increased economic output from employment and the cost savings from housing, medical costs associated with hospitalization and low physical activity levels, incarcerations costs, and treatments for alcohol/drug addiction. The economic impact results have been validated by PA Consulting Group.